Running a small, family-owned business “is hard and getting harder,” said Roz Oserin, co-owner of Pret-A-Porter salon. For example, she points to how information technology and social media now require constant attention in order to remain current. Also, complying with human resources regulations is challenging and too expensive to “hire out,” so she handles all HR matters herself. According to Oserin, “just keeping up” means researching, asking questions, seeking advice and mentoring, or hiring a business coach (as she did), and doing her own website and bookkeeping. 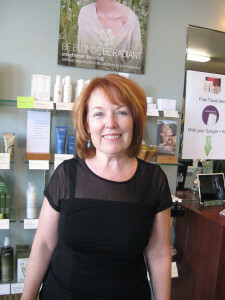 She also changed her business model to build a team that works together as a stable, loyal, and productive staff. “The most important clients are my employees,” she said. Competition with large retailers is also a major challenge for small businesses, and a cause of disappearing centers like La Mesa Village. “Those who support Amazon aren’t going to have their little towns,” said Oserin –– a comment reminiscent of Jackson’s “Little Man” lyrics. 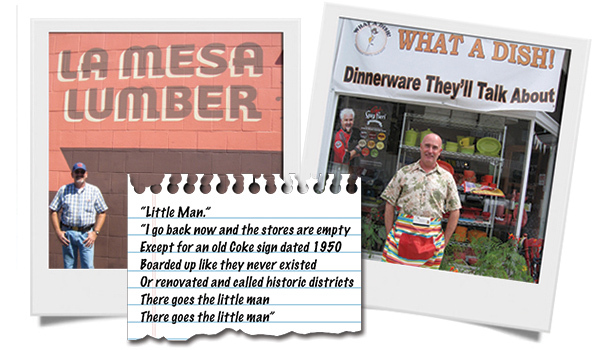 Frank Dittmer, owner of What-a-Dish and a board member of the La Mesa Merchants Association, also faces challenges, but also sees the potential for businesses in the Village. A relative newcomer since 2012, he sees the Village as “a very unique area in San Diego County,” where few older business districts remain –– let alone ones with a Trolley stop smack in the middle of it. “An untapped resource,” he said. To Dittmer, the Village is “a little big town” reminiscent of “Mayberry,” where he regularly shares morning coffee with local residents; puts out a water dish for pets; and knows the names of his neighboring small business owners. However, Dittmer’s business faced some rough challenges posed by the city’s streetscape improvement project. During the height of construction, it was nearly impossible for customers to enter his street front store because there was “no parking and no sidewalk,” he said. Once the streetscape project is finished, Dittmer sees a vision for the Village quite opposite of the boarded-up shops in Jackson’s “Little Man” song –– a town center comparable to the High Streets in England, where all the shops are centrally located; locals go downtown for their regular shopping needs; major restaurants are anchors (Bo Beau’s at one end and another high-end restaurant at the other); and new retailers moving into the area. The Merchants Association is also considering new events beyond Oktoberfest and Christmas in The Village, such as quarterly “Walk About Nights,” where small businesses stay open later in an open house format. New events, together with some of the staples such as the Thursday night “Back to the 50s” car shows (which were cancelled this year due to construction), are envisioned to capitalize upon the Village’s uniqueness and character, said Dittmer, adding that a “seamless” Village on both sides of Spring Street would add to the character. Down La Mesa Boulevard, on the other side of Spring Street from What-a-Dish, is Trattoria Tiramisu. “I don’t know how I do it,” said owner David Chiodo of operating in La Mesa for over 11 years, where he views city residents as “the greatest.” Like Dittmer, Chiodo noted the adverse impact of streetscape construction. “The construction just killed [business],” he said, adding that the “Businesses Open During Construction” signs posted during construction may work against the businesses by encouraging potential customers to drive past La Mesa Boulevard. Oktoberfest also had an impact on his business because the street closure eliminated customer parking and impacted access for deliveries and he did less business than normal, he said. Fortunately, by his account, Chiodo has a terrific landlord who understands the challenges of operating a small business and together they plan on working with city hall to get the restaurant’s patio space enlarged. He also said the two-to-four hours of free parking was a good decision by the city. 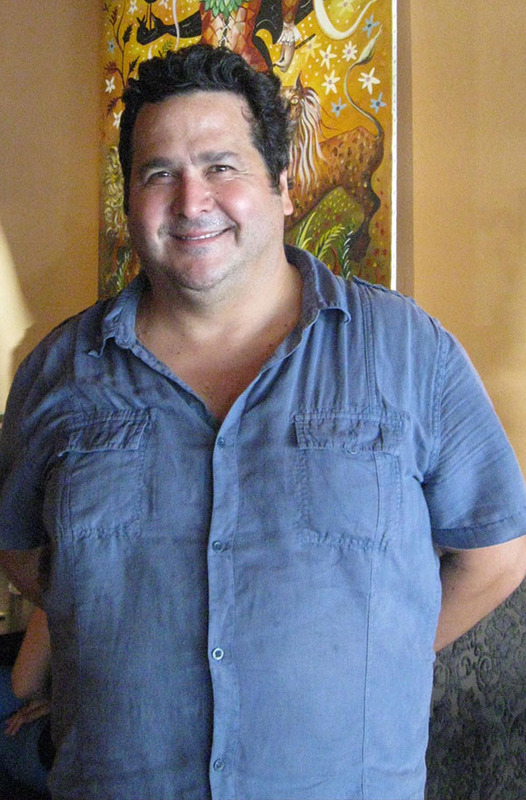 Even after receiving “a very good offer” to sell his restaurant, Chiodo has decided to remain in La Mesa for a year or two, to see if it will be worth it to stay. Like Dittmer, Chiodo has a vision of people walking La Mesa Boulevard, shopping and enjoying a fine meal. Critical elements of the city’s distinctive small town character –– the “little man” owners and operators of its small businesses –– routinely face down challenges from multiple directions. They work hard at finding ways to remain open, be successful, and plan for the future in the face of such challenges: new skill requirements, regulations, increasing labor costs, making hard business decisions on investing scarce resources for the future, seeking out professional assistance, envisioning a new environment, loving what they do, and seeking to provide the best possible customer service to their customers. They are the little men and women of which Alan Jackson sings. But let us hope the ending will be different.